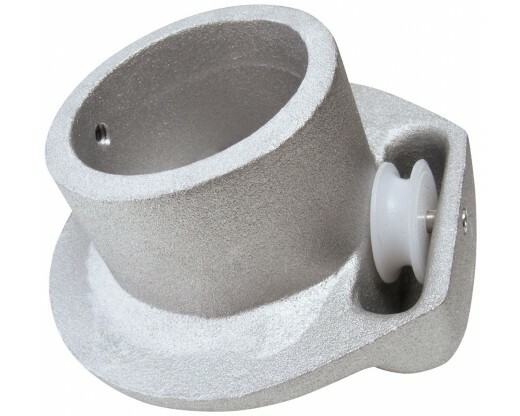 Cast aluminum construction with a 1" outside diameter nylon pulley on a 3/16" stainless steel axle. 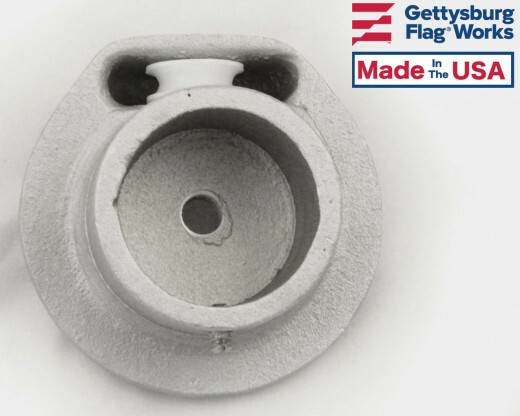 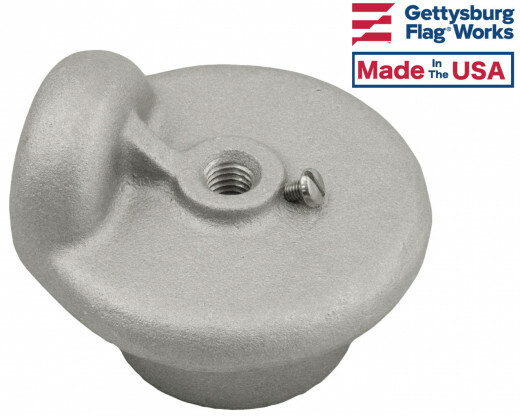 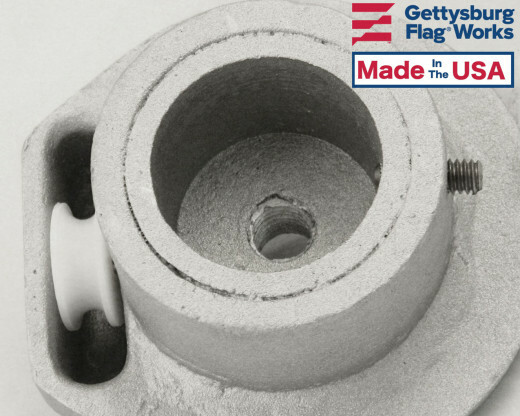 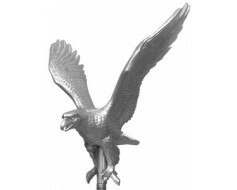 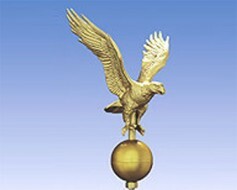 Designed to slip over the top of the flagpole and be secured with one 1/4"-20NC stainless steel set screw. 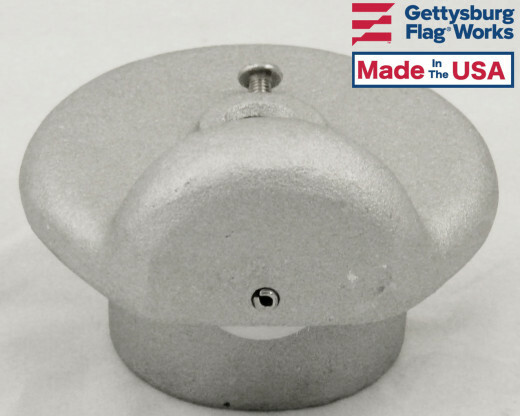 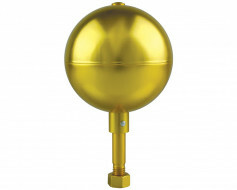 The top is designed to accept an ornament with a spindle threading of 1/2"-13NC as standard. 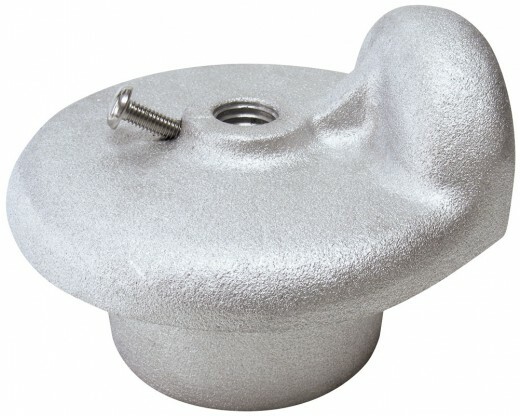 The ornament is secured to the truck with a size 10-32 stainless steel pan head screw. 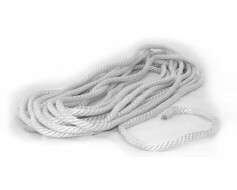 Maximum halyard diameter is 1/4"